Doctor Parajuli has been working as a medical practitioner both in Australia and overseas for over 25 years. He has a wide range of experience in various medical fields including working as an emergency physician, family physician, public health and family planning specialist, men’s health specialist, and skin cancer doctor. His experience spans from working as a solo doctor in the most remote parts of Bhutan to the most modern and sophisticated general practices in Australia. He is a Fellow of Royal Australian College of General Practitioners. 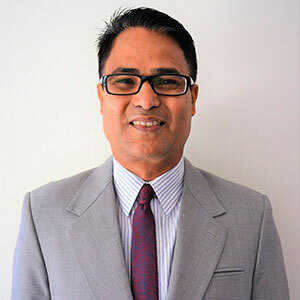 After completing the MBBS, Dr Parajuli served as a Medical Officer, Superintendent and District Medical Officer for 10 years in Bhutan before moving to Australia. He completed a Master of International Public Health and Master of Medicine from the University of Sydney, Australia. He then started working as a General Practitioner and subsequently became a Fellow of Royal Australian College of General Practitioners in 2006. Besides his interest in various fields of medicine, he is very passionate about promoting awareness on cancer. In his daily practice, he takes keen interest in advising his patients on how adopting a healthy lifestyle can prevent many cancers. To promote cancer awareness among wider global communities, he has recently published a book on cancer called ‘DO I HAVE CANCER?’ The book is available in many online stores including the Amazon, Barnes and Noble and Balboa Press. Dr Parajuli is also an advisor to the Nepean Blue Mountain Primary Health Network Cancer Screening Program. Dr Parajuli feels that at present many men in Sydney who have completed their family and considering undergoing vasectomy do not have easy access to the procedure. There are not enough trained doctors close by and patients have to wait a long time, or travel to another place for vasectomy. Hence, accessibility is a big problem for men wishing to undergo vasectomy. Dr Parajuli provides high quality vasectomy procedures at a very affordable cost with minimal waiting time. No-scalpel procedures are offered at both our Penrith and Canterbury clinic locations. Dr. Parajulu has chosen to make No-Scalpel Vasectomy a primary focus of his clinic. He underwent extensive training with Dr. Neil Pollock, a foremost authority in these procedures. Dr. Parajuli is offering his patients techniques that are highly advanced, minimally invasive and have been performed safely on over 50,000 patients. Please call our clinic to speak with Dr. Parajuli directly, or contact us anytime with your inquiry.